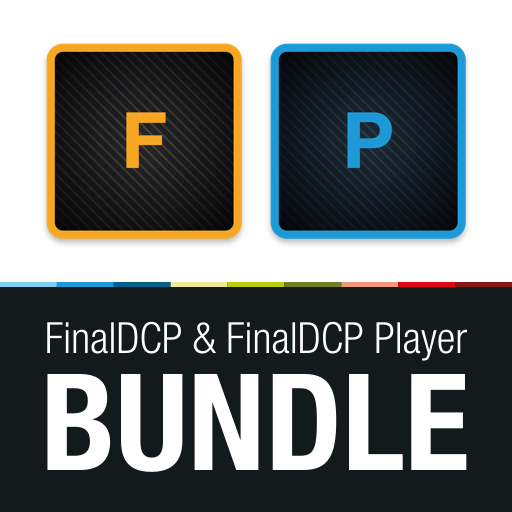 If you just want to check that you are distributing the right DCP or need a quality check for audio sync and color accuracy, the FinalDCP Player is quite the perfect solution. Because of the floating license model, FinalDCP Player is a must have, since the program can be used on any computer in a network, whilst using the laptop as a dongle. FinalDCP Player can be easily tested, the latest version simply be downloaded. Following the instructions, it is a straightforward install of the trial license – with all features available for 14 days. With the program’s ability to use a BlackMagic video card, movie makers are able to review their DCPs in the same calibrated HD-SDI environment as their color correction sessions and this up to 4K! This allows to be absolutely confident about the quality of any DCP. And even without the use of a BlackMagic card, you can use the second video-out from the computers own graphics card to go for full screen reviews. Additional professional quality management is available via waveform, providing video level control all the time. and a floating license for maximum flexibility. A special feature of the player is to convert cinema-ready DCPs back to a form that can be worked upon again. 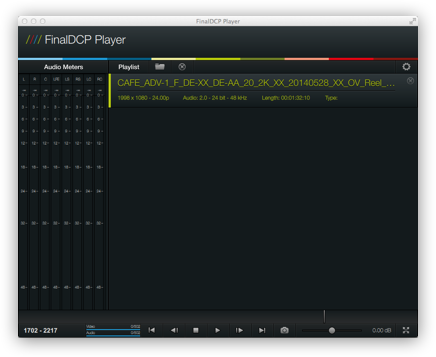 A task easily done by the FinalDCP Player, exporting the DCP to 10 bit DPX single file sequences including all video and audio information and settings. Viewing the DCPs for reviews, provisional or final acceptance the FinalDCP Player provides a burned in time code so anybody wanting to make changes can refer to the exact point in the movie. On-screen controls make it easy to handle such reviews even in full screen format. With the optional KDM module, you can playback and export encrypted DCPs. Allowing a secure data exchange. If you want to test the FinalDCP Player, just download the latest version and follow the instructions activate the licenses. We will issue a full license, that will be valid for 2 weeks, so you can test the FinalDCP Player for yourself.